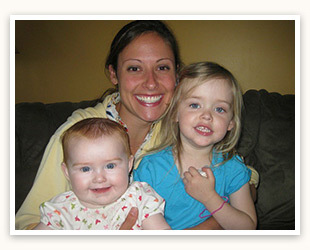 NY Nanny Center, a Bell Family Company, Placement Services is based on the concept that exceptional childcare can thrive in an environment where the nanny and family are best matched, where mutual respect and values exist at the highest level, and where each understands the wants and needs of the other. Bell Family Company adopted the highly reputable NY Nanny Center, established by a working mother and licensed social worker over 30 years ago, which has always placed full time live-in and live-out nannies in and around New York. To this day, whatever your needs, our nanny placement team will offer highly qualified, experienced, nurturing and loving childcare providers with whom you will feel completely comfortable leaving with your children. Once you have completed the BFC Family Application and signed the nanny placement agreement, our team will start introducing you to prospective nanny candidates via email. Once you receive the email you can simply click on the link and review the prospective candidate’s profile. Please scroll to the bottom of the page and select: INTERESTED or NOT INTERESTED. If you click INTERESTED, a screen will then prompt you with your best times to schedule an interview Select the best option and press submit. You will then receive a confirmation email with the next steps in meeting the nanny candidates. If you have any questions, please email your nanny coordinator directly. Our team is here to guide you every step of the way throughout the Interview, Meet and Greet, Trial and Offer processes. Our team will coordinate all logistics and provide you with all information you’ll need along the way to hire your family’s perfect nanny. 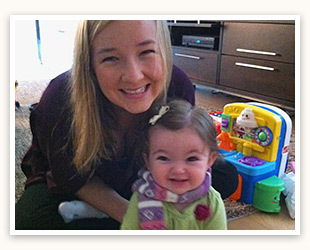 We will take your questions to our sitter panel & we will answer one question every Wednesday via Twitter & Facebook. Shea has been babysitting since she was in middle school! She also worked as an ESL preschool teacher in Spain and currently volunteers at 826NYC helping with creative writing workshops for elementary students. Jessica has been babysitting since the age of 12, so nearly 18 years! She has a natural affinity towards children and finds it refreshing and recharging to be around their energy. Her work with children began when she worked with a Child Psychiatrist as a mentor for children that suffered from severe ADHD and that exposed her to all age groups. She was also a mothers helper for a newborn. Singing, dancing, traveling, group activities, public speaking, exercising, reading, outdoor activities, and anything Disney! Erin has been watching lil’ ones since she was 14 when her younger brother was born. She also babysat extensively for local friends, families, and neighbors. 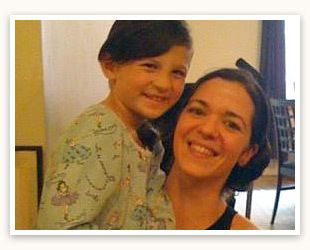 She moved to the east coast in 2007 and did everything from on-call to long-term sitting for all ages and abilities. 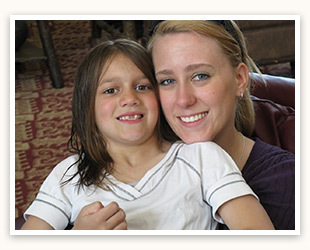 Erin has been with LLD since 2009 and has babysat for over 20 of our families. 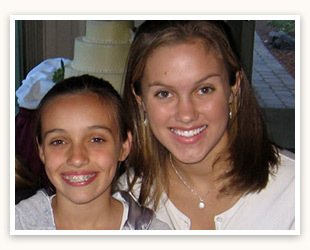 Jocelyn has over 10 years of babysitting experience for children of all ages newborns to teens. She has also worked as a high school English teacher, swim instructor, and tutor. She is the oldest of 3 kids and 13 cousins, so the role of caretaker has always felt natural to her! Marketing Associate at Coleman Research Group, Inc.
Mackie has been babysitting children, infants to pre-teens, for more than 10 years. She loves being active and entertaining kids, whether it's by playing hide-and-go-seek in princess costumes or rock climbing in the park. After her sophomore year at the UT, she spent a summer working as a counselor for 10-15 year old girls and boys at Camp LIFE, a missionary organization supporting AIDS orphans in Africa. Dance (ballet and jazz), Church, exploring New York City! Annie has an array or experience including The Children’s Center Day Care (worked with children ages 6 months to 2 years), previous part time nanny (1 infant age 3 months to 16 months), a full time nanny (1 infant currently 12 months) and she is a babysitter for kids of all ages!